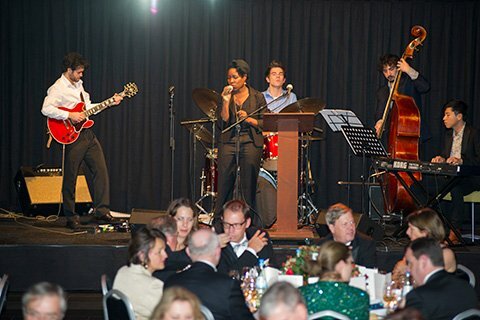 In November I played at a gala that The Hague World Trade Centre was organising. It was their first gala and in their words was a “success”! A black tie event, everyone was pleasant and enjoyed our playing. It’s always nice to play to an appreciative audience. This past Thursday, I again played at WTC The Hague, for another reception and again it was a pleasant experience. Not black tie this time. Pictures hopefully to come soon from that event, but for now, here is a link to the event and some pictures taken from that night.